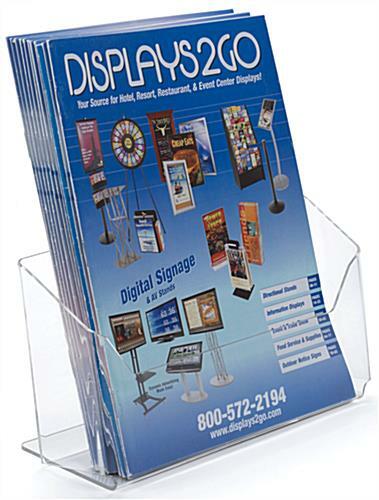 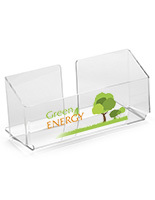 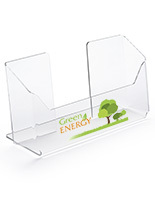 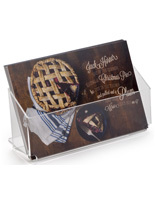 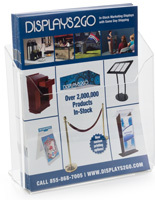 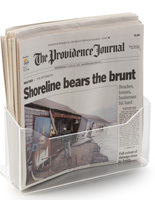 Brochure Holder - this literature holder is a shorter (5" high) model and holds 9" wide material. 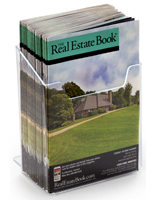 Suggested for sturdier materials to prevent literature from flopping forward. 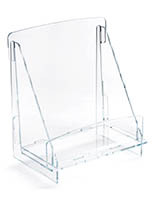 Please Note: The front height is 3.75". 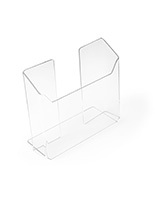 9.3" x 5.0" x 3.4"
Everything came as I expected! 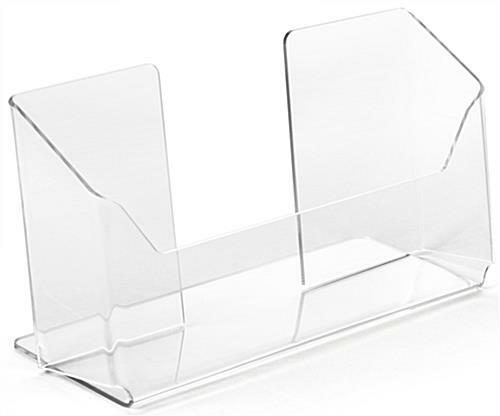 Great packaging btw...love the care put in making sure that my items arrived without any damage.